You may have heard through a little bird, or a very loud bird called Twitter, that I’ve joined SMP Living as one of their newest editors. Eeek! 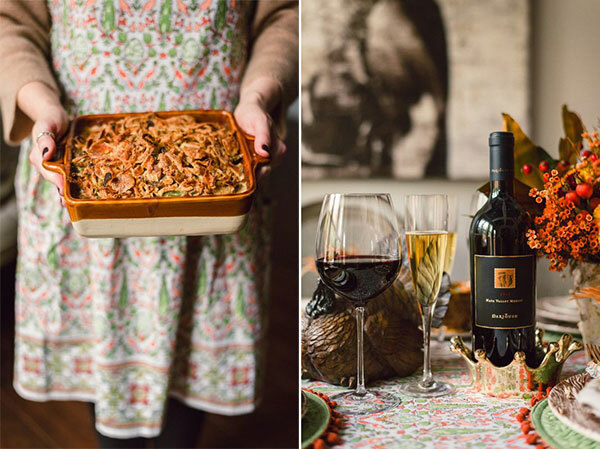 And I thought what better way to kick off this new partnership/love affair, than with my Southern Thanksgiving captured by the talented Rustic White. In the South few things are held as high as tradition and family. 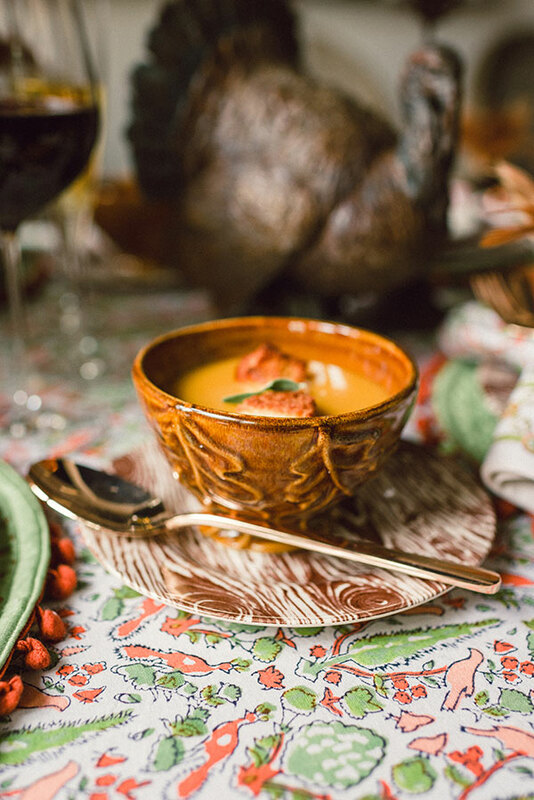 And what’s more traditional than gathering around a Thanksgiving table with family and friends to feast on the season’s bounty? 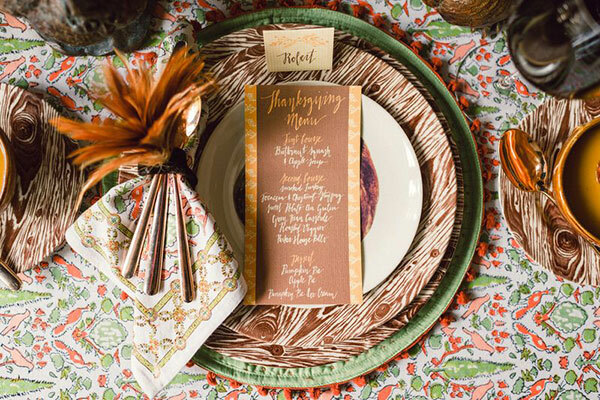 Inspired by my love for a classic Thanksgiving, I combined rich browns and oranges with an unexpected twist of coral and sage greens to create a picturesque Southern table. 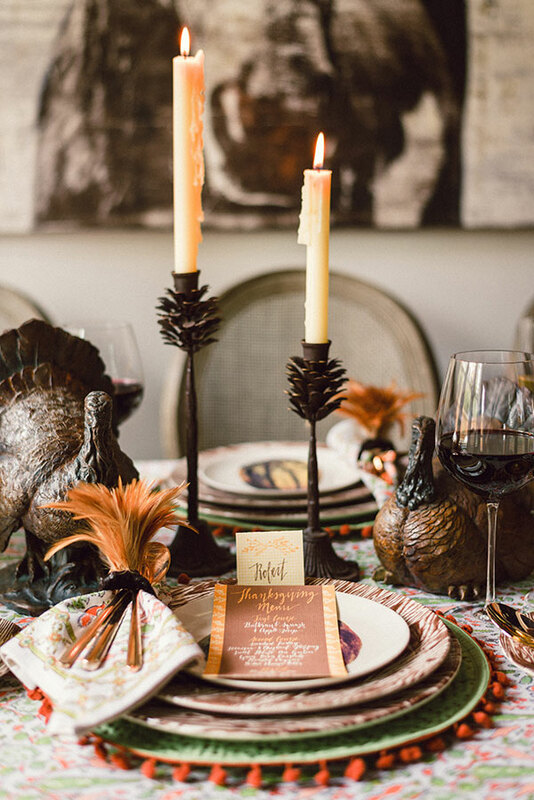 Pomegranate’s Aviary patterned linens, pom pom placemats and napkins were the ideal backdrop for my faux bois and gourd patterned plates, rose gold silverware, and feathered napkin rings. I finished the tablescape with ivory candles along with fresh florals in burgundy, orange, and green. The legal mumbo jumbo...this giveaway is open to US residents and will run through Sunday the 17th with our winner announced Monday the 18th. We’ll be running this all through Rafflecopter (below) which allows you to earn points for each item completed with a simple click of the button. The more points you earn the more likely you are to win (and remember you probably already have entry points if you’re a regular reader of the blog). This post and giveaway was sponsored by Pomegranate but the opinions, and obvious love of Pomegranate is all my own! This is gorgeous. Where did you get the candlesticks? As is the same for most people, Thanksgiving is about taking the time to slow down, make time for family and loved ones, and really focus on being grateful for what the Good Lord has provided. I love spending time with my family and telling stories around the dinner table. Thanksgiving is my favorite holiday! I love spending time with family! Pumpkin pie doesn’t hurt either! 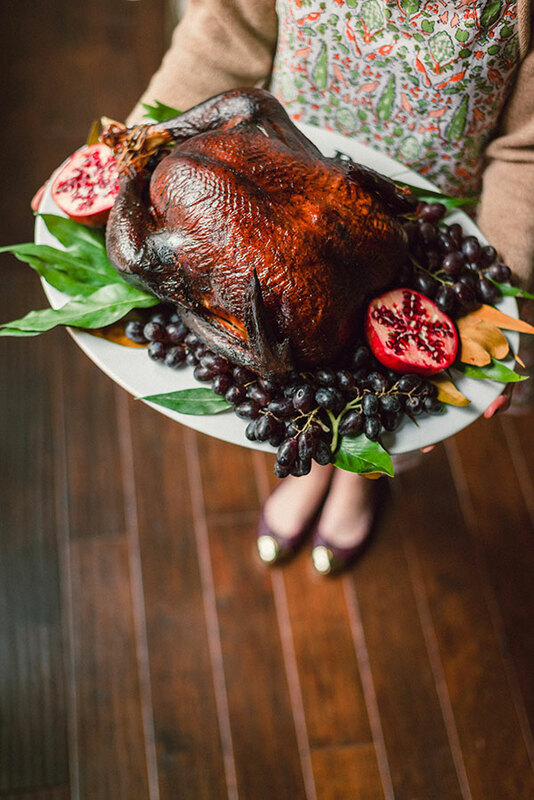 my mouth just started watering looking at that turkey. it might be time to save up for a green egg!! i really like what you’ve done with the table, lots of texture, color and patterns. 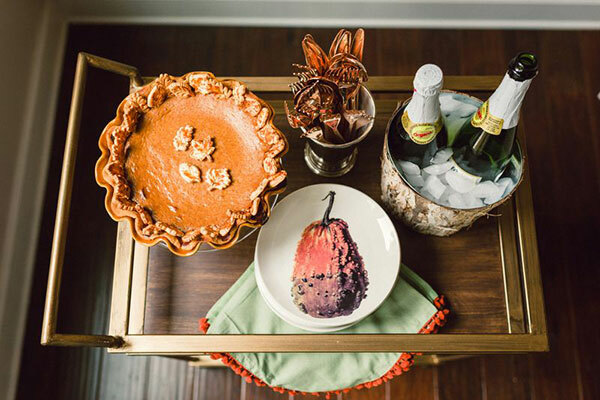 i like your “modern” take on a classic southern table. what time should I be over with the cranberries? 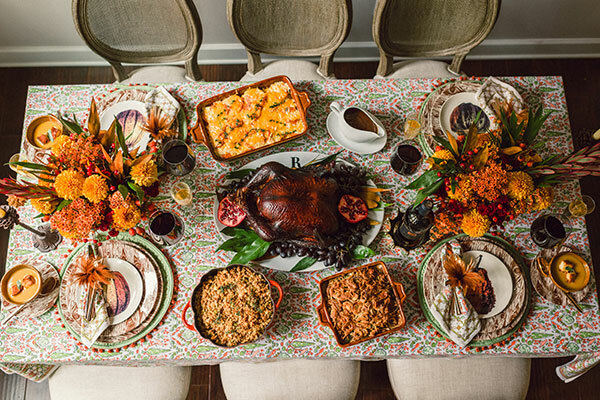 My favorite Thanksgiving moment is when all the glorious food is set out on the table! It’s a beautiful sight! 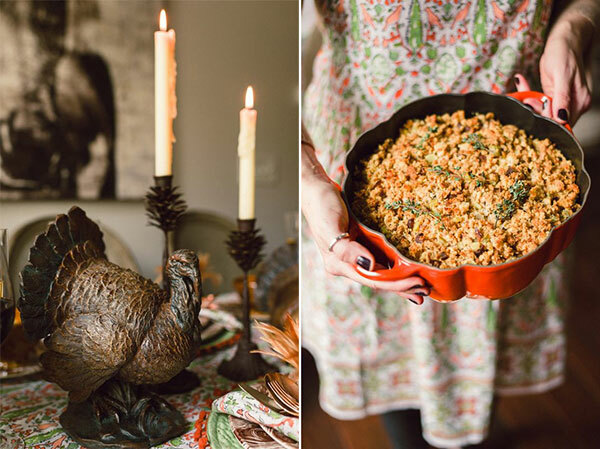 My favorite part of Thanksgiving is the time of reflecting on the blessings we have received. Even in years of death, or job loss or sadness, we always have so much to be thankful for! Stunning!I’m looking forward to the parade & pies. And family, of course! My favorite part of Thanksgiving is getting to use the dining room table instead of the kitchen table! Love setting it up exta pretty! Oh and cranberries. Cranberries are my Thanksgiving fav! 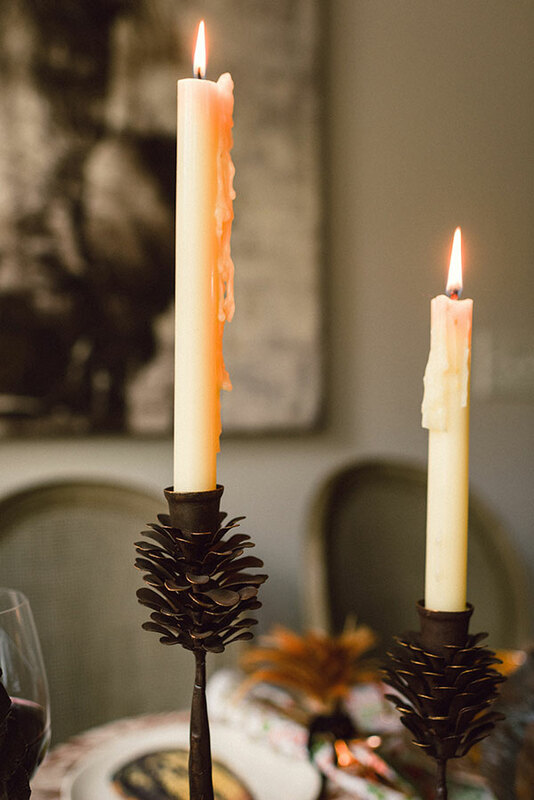 Gorgeous tablescape, love the napkin ring detail. Looking forward to trying the soup recipe on SMP! I just love food and cooking and what better way to do all that but with family and/or friends? Any excuse to do that is A OK in my book!!! 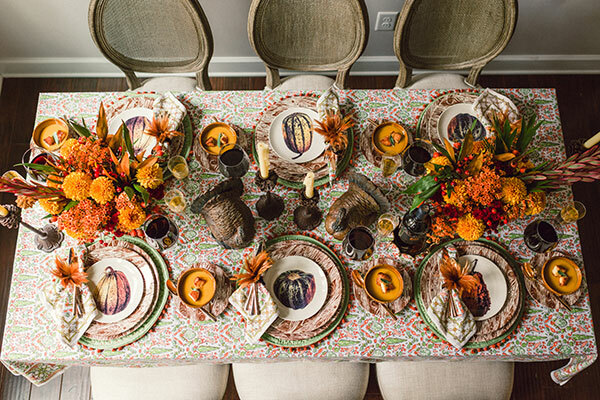 Obsessed w this tablescape! Thanks for the giveaway!! I love the slow and calm of Thanksgiving. The Christmas season seems to be so rushed and Thanksgiving allows us a long weekend to celebrate with family and enjoy. Lovely! Where is the horse print from? Absolutely Beautiful. My favorite part is my family, of course! My favorite part of Thanksgiving is my Mom’s cooking and watching football with the fam! My favorite part of Thanksgiving is the long preparation part. The smells, the sights of pies cooling, the sauces simmering… everything is so exciting. The best part of the whole day is the anticipation, combined with hunger! I love this! 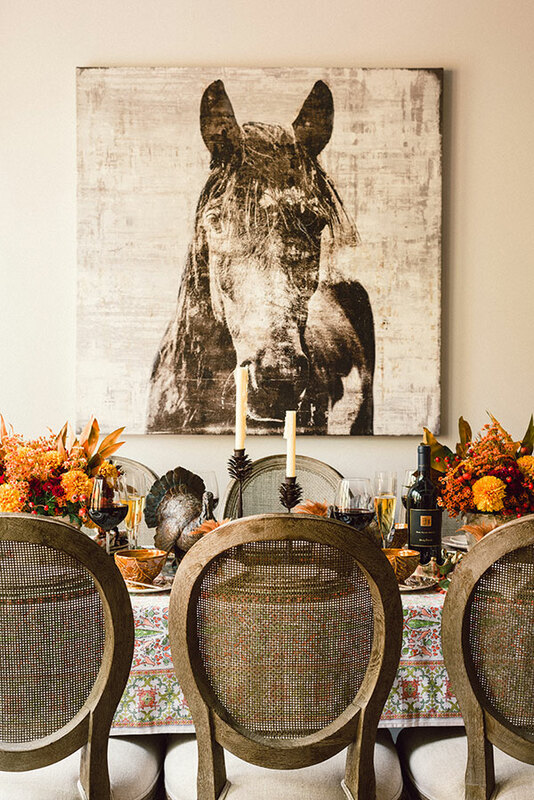 I’m wondering, randomly, where you got the large print of the horse … I live in Texas and I need some art like that! Thanks! 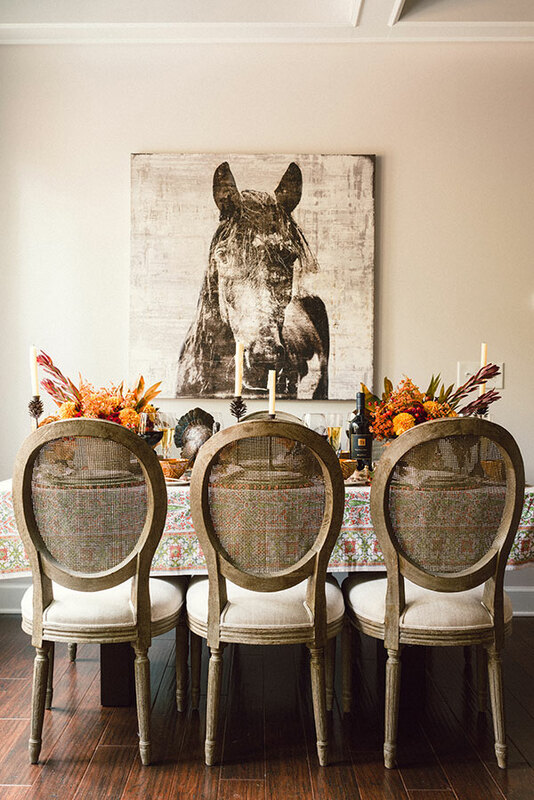 I am obsessed with the horse print canvas! It is perfect! Where is it from??? 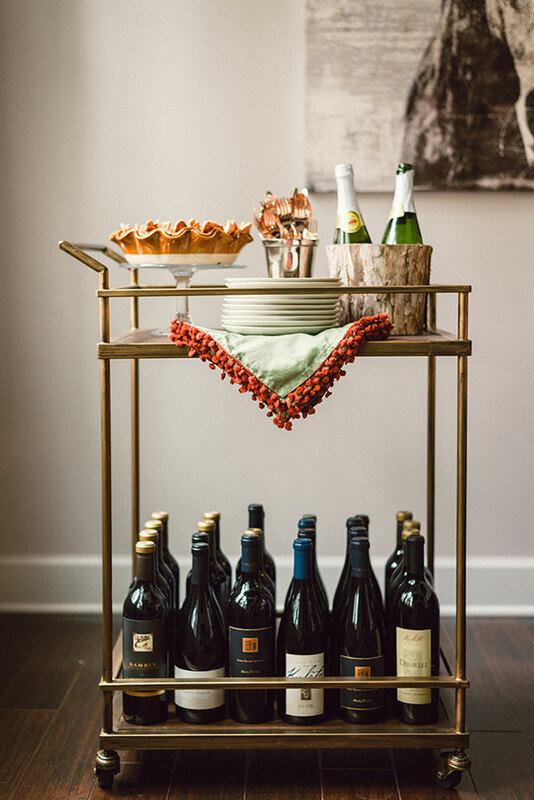 LOVE the bar cart! Can you tell us where it’s from?? can you tell me where the horse painting in the background is from? i’m obsessed! Stunning!! I also love the horse print and would love to know where you got it!!! 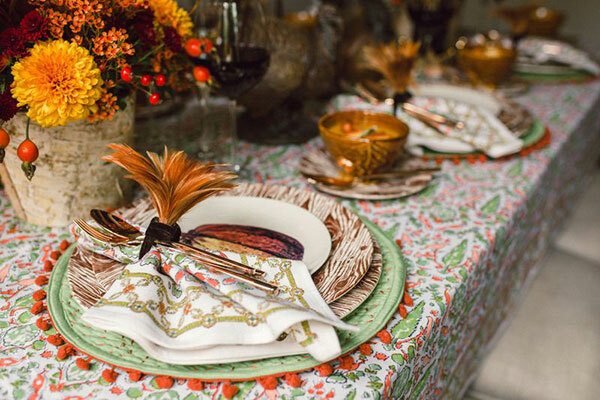 Love the vintage feel of this table setting. 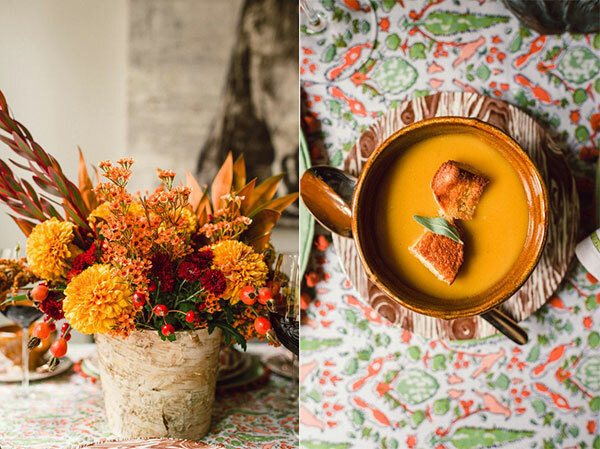 Such warm and gorgeous prints compliment the food so well! Beautiful table setting! I love that horse picture and have been looking for it everywhere! Where did you get it and do you know if it is still available?